The rumored $1B buyout was modeled after Disney’s purchase of Go.com. UNCLE WALT’S H.Q., SVALBARD — Uncle Walt’s Insider is pleased to announce its acquisition of StupidGuestTricks.com. 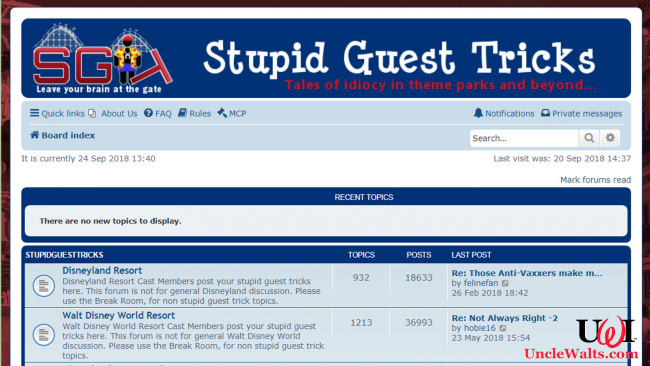 Stupid Guest Tricks, a website founded within minutes of the creation of the internet, is a forum-based discussion site which focuses on theme park stories and bad guest behavior. 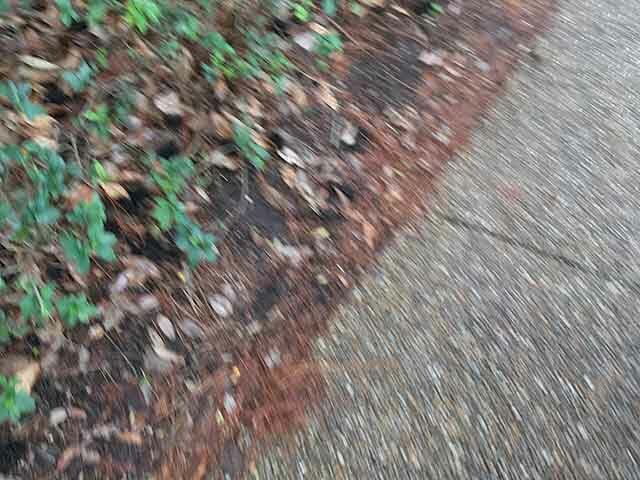 It reaches an estimated 7 billion people each week, or would if they would just put the address in their web browsers. Stupid Guest Tricks made its name focusing on stories from Disney Cast Members and other theme park workers about, well, stupid guests. 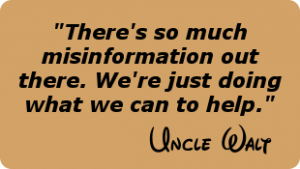 With the Uncle Walt’s buyout, however, its role may be expanding. Changes will roll out slowly over the next few months. Crossovers are also a possibility. Have you visited Stupid Guest Tricks before? Let us know in the comments below!